The Teal Bridge Networking Group is a private Facebook group, moderated by the Teal Bridge Mentors and University staff, that all new transfer students are invited to join upon their completion of their mandatory Orientation. This group serves as a space for new transfer students to ask questions, share resources and information, and connect with other new transfer students. Within the group, Teal Bridge Mentors share information about important dates and deadlines, Teal Bridge Events and other on-campus happenings, and campus resources. 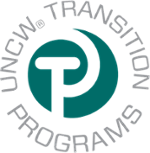 Within this group, students are expected to behave and conduct themselves in adherence to UNCW's Code of Student Life and Seahawk Respect Compact. To report gender-based/sexual misconduct, discrimination or retaliation, students may click HERE. To request to join the Teal Bridge Networking Group, or for more information, please contact Carrie West at westc@uncw.edu or 910.962.7253.